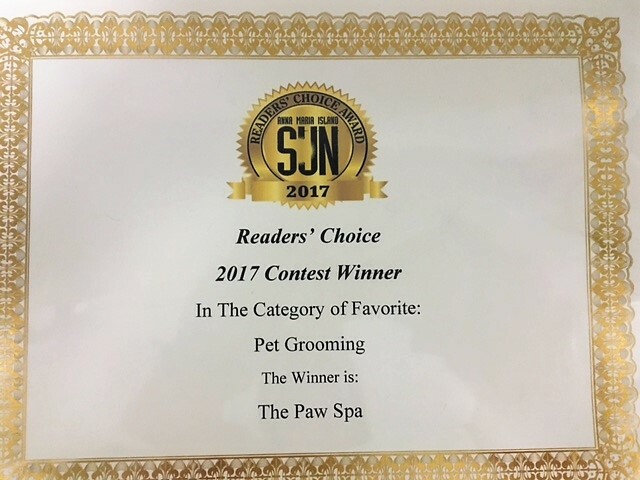 CONGRATULATIONS TO OUR TEAM WHO RECEIVED THE AMI SUN READER’S CHOICE AWARD 2017 – WE ARE VERY PROUD ABOUT THIS! 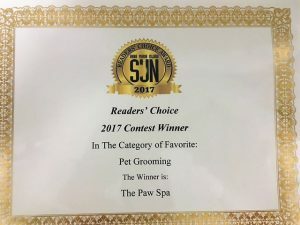 Welcome at The Paw Spa – The place for Personalized Grooming Services© and all the good things our „best friend“ deserves! Your pet has its own individual personality – and would like to be treated individually. 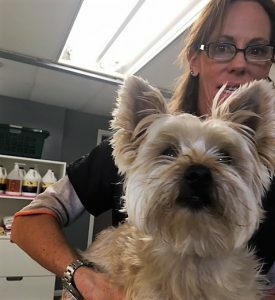 Your pet comes first! 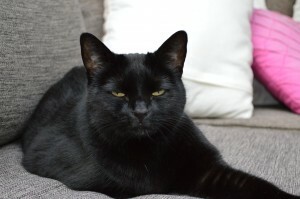 You – as the owner – are the voice of your pet and you have to tell us your pet’s and your wishes. 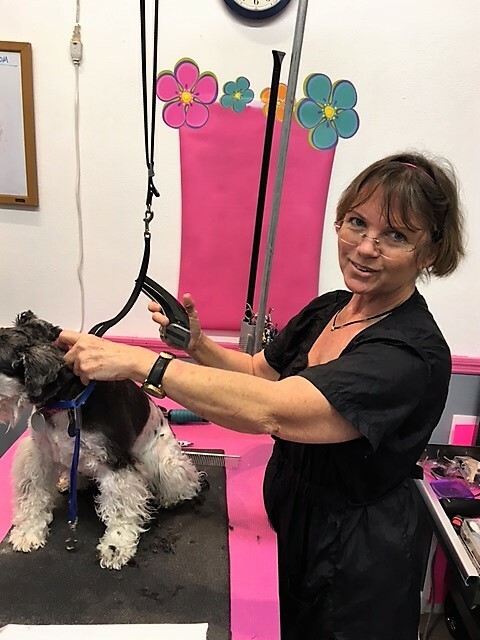 Julie has many years experience in grooming and knows all „special cuts“. She is specialized on the „big jobs“ which can take up to two hours! 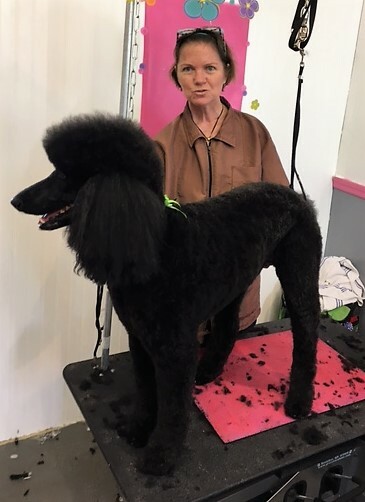 You can tell all your wishes to her and Julie can make recommendations about styles & trends. 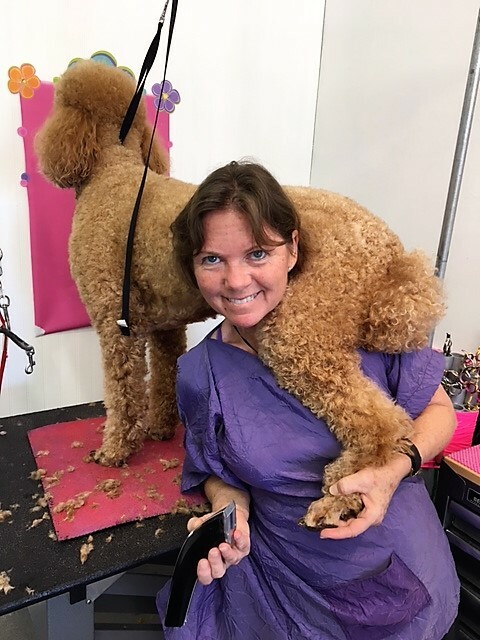 Karin is the Owner and Manager of The Paw Spa, takes care about the reservations, the reception, the store and helps with bathing and grooming. 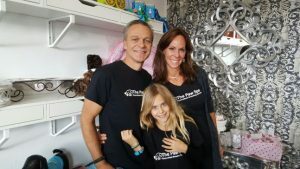 Cathrine is 11 years old and in 5th grade at AMI Elementary School. 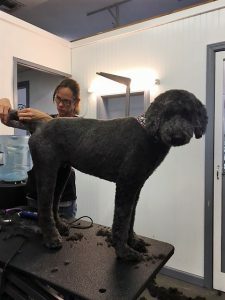 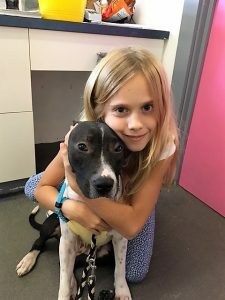 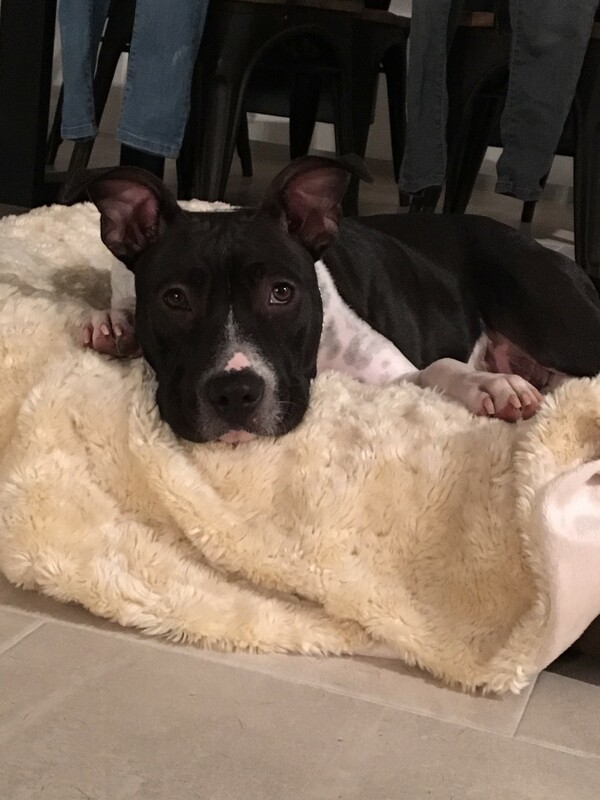 She is born and grown up with dogs and after school, she helps where she can and entertains all dogs at The Paw Spa and at home. 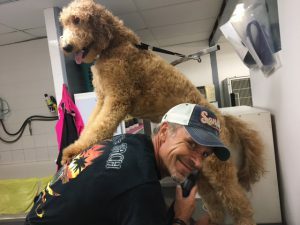 Daniel remodeled the new Paw Spa together with Brian and can do everything when it comes to fix or rebuild. When needed, he helps to bath dogs and is doing the accounting and marketing for The Paw Spa. 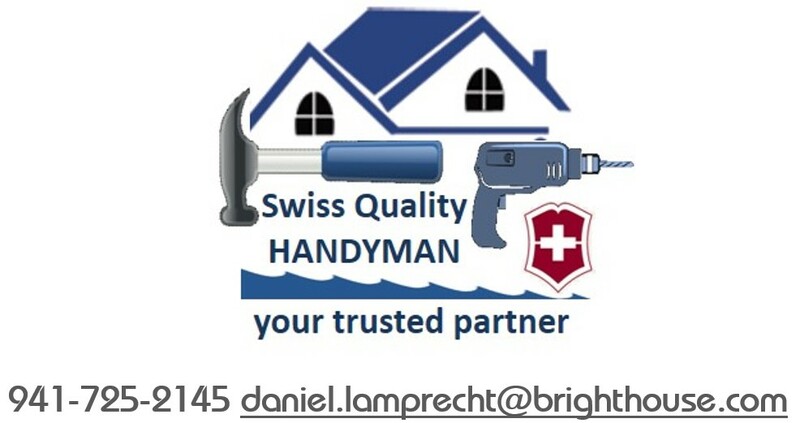 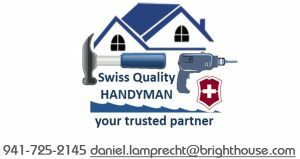 He runs the SWISS QUALITY HANDYMAN division of LAMPRECHT ENTERPRISES, LLC – where no job is to small and where quality is a promise – not just a word! We are also looking for a bather with starting date 1st October 2017. Luna (left), our „grand-grand-mother dog“ – since July 8th, 2017, she is supporting us from another universe – RIP Luna – we miss you! 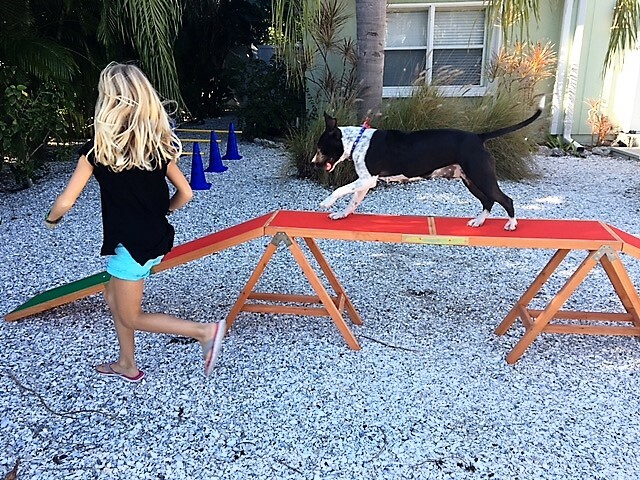 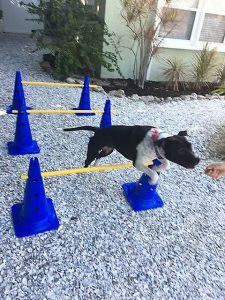 Shary – supervisor for boarding services. 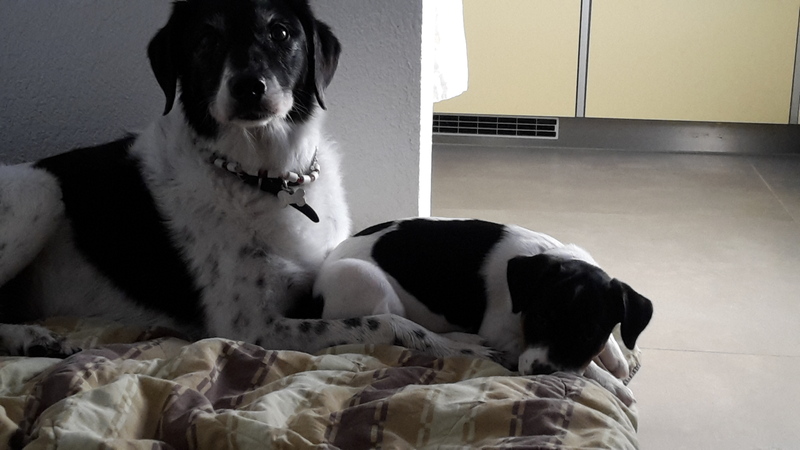 Shary followed Luna on her last trip at July 10th – we hope they can enjoy each others wherever they are now!